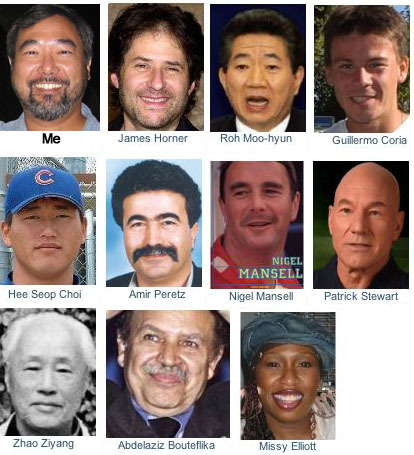 There’s a website online, My Heritage, that allows you to upload an image of your face and it will look through its database to see which celebrity you resemble. Is this the kind of facial recognition technology we’re using to catch terrorists? The little photos next to mine are in the order of how much they match me from about 70% to 40%. Should I go as Missy Elliott for Halloween?